An English Defence League supporter who shouted abuse and used threatening behaviour during a demonstration in Walsall – has been handed a criminal anti-social behaviour order after narrowly avoiding a jail term due to health problems. 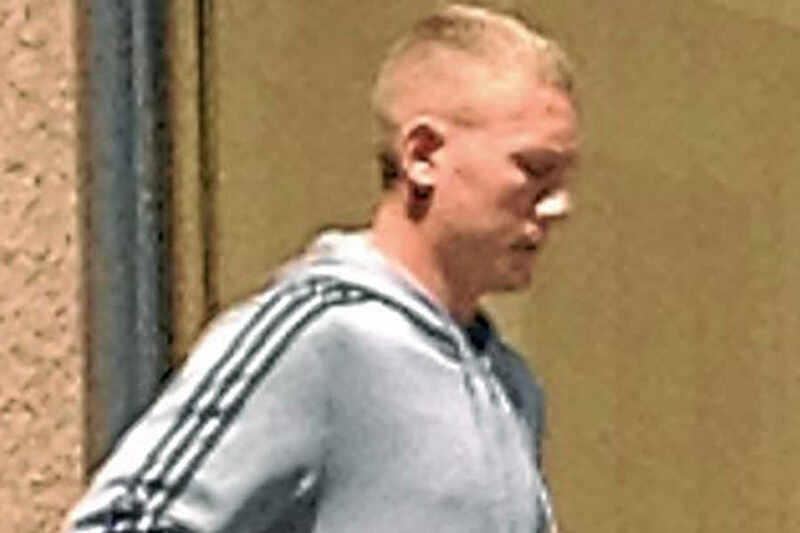 Jack Beasley travelled from Durham to take part in the protest which brought Walsall town centre to a standstill on September 29 last year, Walsall Magistrates Court heard yesterday. Trouble flared, in Leicester Street, during the rally. She said Beasley had been wearing a black EDL top and was identified on CCTV raising his arms and chanting. She said other people around him were throwing ‘missiles’ at police and Beasley looked as though he had picked up some items and was making a throwing action in various photos. He denied throwing any objects. Beasley, aged 23, of Cedar Road, Bishop Auckland, initially denied using threatening words or behaviour with the intent to cause fear or provoke unlawful violence. But he changed his plea to guilty on the day of his trial. Sentencing Beasley, District Judge Michael Morris said: “It is clear you have hatred for certain members of the community. Whether you are going to change your ways or not, I do not know. He said the offence would usual carry a prison sentence but was prepared to suspend the jail term because Beasley had health problems. Beasley was sentenced to 12 weeks in jail, suspended for 12 months, and was handed a community order with a supervision requirement. He was ordered to carry out 100 hours unpaid work, pay £250 costs and was handed a three-year criminal anti-social behaviour order which forbids him from attending any rally by the EDL or Unite Against Fascism. It also prevents him from displaying any banner or placard with writing or a logo which is likely to cause harassment, alarm or distress to any other person. A number of protesters and police officers were treated for minor cuts and bruises after angry scenes unfolded last September.